What is a bundt pan? Bundt pans are cake pans that bake up a cake that isn’t quite like anything you can get from another pan. They are usually 10 or 12-inches in diameter and are up to 5 inches deep, with a hole in the center that ensures that the deep cake bakes evenly while it is in the oven. The sides of a bundt pan are almost vertical and the pans, which are typically made of cast aluminum, have fluted or ridged designs that make the finished cake look very impressive. 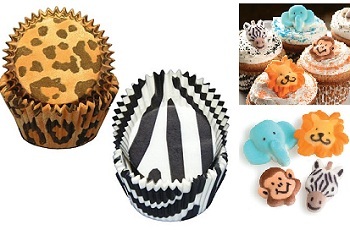 Over the years, the pan style became so popular that manufacturers started to branch out into more creative designs, not limiting themselves to the traditional ridged round cakes. You can also now find bundt pans in silicone and other materials. Bundt pans were derived from ceramic German Kugelhopf pans, which bake tall, round and (usually) yeasted sweet breads or cakes. The cast aluminum version was trademarked in 1950 by the founder of NordicWare, the largest and certainly most well known maker of bundt-shaped pans. The pans were not popular with bakers at first, but after the Tunnel of Fudge cake – which was baked in a bundt pan -won 2nd in the 1966 Pillsbury Bake-Off, sales of the pan took off and it is now one of the best selling pans in North America, with over 60 million sold. It is easy to see why, because the cakes are very stylish and, unlike layered cakes, look impressive without needing a drop of frosting. There are tens of thousands of recipes out there calling for bundt pans, and you won’t find another pan that can do the job as well. What is The Difference Between Cream Pies and Custard Pies? I adore my bundt tins, they’re hard to find in the UK but I’ve managed to add a rose and sunflower to my collection recently. Can I thank you again for reviewing Cake Keeper Cakes by Lauren Chattman, which I bought mainly because of the Bundt section. I bake from it frequently and it’s proving tasty and reliable source! 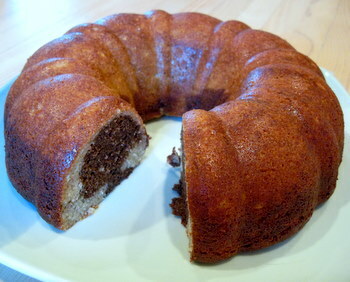 whenever i bake my rum cake using a bundt pan, the cake usually comes our dark. i brush the pan with shortening and dust it with flour but it still comes out too dark for me. what can i do so my cake bakes with a lighter color?